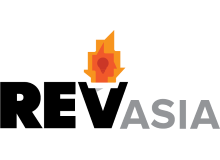 REV Asia is a digital media group. A lot of modern workplaces adopt designs that end up looking more like modern slavery. We do not want to be part of that broken system. We do not want to enslave creative minds. We get more out of life and work when creative minds are liberated. Freedom at Work is the source of our continued success at REV Asia.